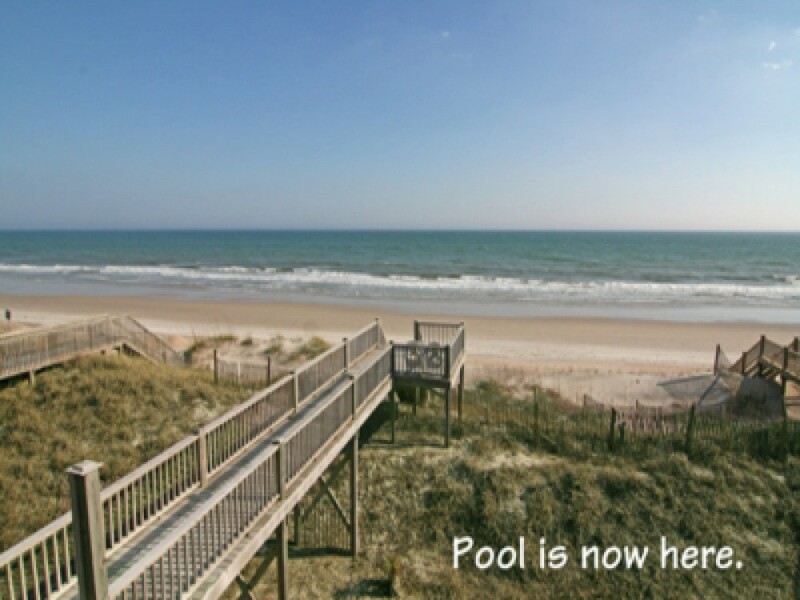 North Topsail Vacation Home offers one of the outstanding Vacation Rentals in North Carolina. This particular home comes with five bedrooms and 4 bathrooms. This also an oceanfront home and has the capacity to accommodate three families at a time with great comfort. There are total three Master Suites. All the Master Suites have their own private baths. On the first floor, there is one king bed. Moreover, kids are going to have great fun as the space is huge. Game room with TV facility, two separate bedrooms, 2 bunk beds (twin size) and on bath is just superb. Free Wi-Fi connection is also there. You got a nice opportunity to marvel the Atlantic from the porch and sunny decks. The home carries an excellent sunset deck which provides maritime forest views. In addition, ICW is also a breathtaking location to toast each day. The kitchen, the laundry room (on second floor), Master Bedroom (king bed, private bath and a soaking tub), etc. are on the main level. On the 3rd floor, there you got one private suite. It has been integrated with magnificent sights of Intracoastal Waterway, two queen beds and a complete bath. There are hot tub, private pool, gas grill, outdoor shower and hammocks breezeway and numerous stunning views at outdoor. The marvelous house has got a fireplace, not for use but for decoration. Linens are also provided. No discounts or special rates for linens. Total sleep is 16 and per week charge is $1795.